In my short dating history, I’ve gone on my share of first dates. It was a mix of guys I just met and had interest in, and also with a friend, which is the one I had with my boyfriend. I can confidently say that going out on a first date with a friend makes it a lot less dreadful and awkward, since there’s no pressure or need to make a great first impression. Here are some reasons why being friends first before a first date can help you greatly in the dating world and how it can help you make smart decisions on who to get involved with. #1. Conversations run smoothly and more productive. If you’ve been friends with your potential date for quite some time, neither of you should have a problem talking about touchy and sensitive subjects such as career, beliefs, religion and etc. The conversations will be more detailed and will flow much more smoothly because the two of you have already covered all of the basics. When my boyfriend and I went on our first date, from what I recall, he talked about aviation and planes in detail which showed that that was his passion. If we did ask each other formal typical first date questions, they must have been minimal because I don’t specifically remember what they were. #2. There’s no beating around the bush. There’s no guessing or wondering if they have an ulterior motive or if they’re hiding something crucial about themselves, something that may be a deal-breaker. As their friend, especially if the two of you are close, you’ve already seen their true selves, not the mask that they may put on to make a great first impression. There’s complete transparency. When my boyfriend and I went on our first date, I didn’t wonder if he had an ulterior motive because we had interacted so much beforehand. #3. You’ve seen their good and bad sides. There’s no doubt that the longer you’re friends with someone, the more you’ve seen them at their best and at their worst. You’ve probably seen them in times of joy and in times of sorrow or disappointment, and you probably know what ticks them off. You’ll be able to really consider these good and bad sides and see if they would be dealbreakers for you when it comes to dating or relationships in general. #4. 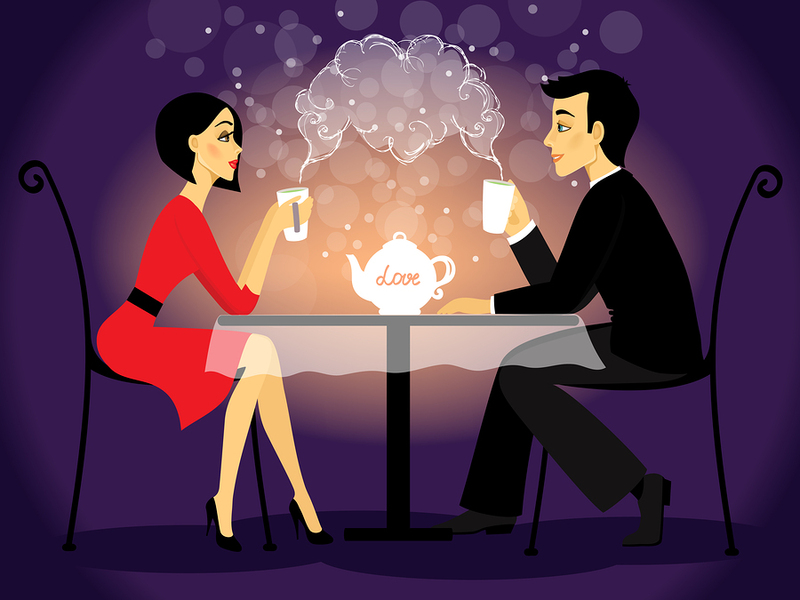 You can determine whether or not it’s wise to go on a first date. Deciding to move into a romantic relationship from a friendship is always a risk, no matter who you’re considering. That’s why it’s smart to think it through before asking them on a date. But if you’re looking for a relationship that will eventually lead to marriage, you should look out for any red flags before you enter that second stage. The big reason to be friends before going on your first date is so you can determine whether or not it’s worth taking to the next level. #5. Healthy romantic relationships are founded on a solid friendship. Without friendship, a relationship is weak. It cannot thrive on romance alone, because there’s so much more to being in a relationship than being wooed or sweet kisses after a great date. My boyfriend and I are long-distance so it’s already hard as it is but we’re great friends first and lovers second, which makes this relationship stable, lasting and possible. Having a solid friendship is always great, whether or not it makes it to the next level. If you end up dating and marrying them, that’s awesome! But it’s also incredible to have an amazing friend.